I have heaps of manis to share, but only a few words. I think I have been staying up to late at night playing with polish, then catching up on facebook groups and browsing through instagram. How's a girl to keep up!! 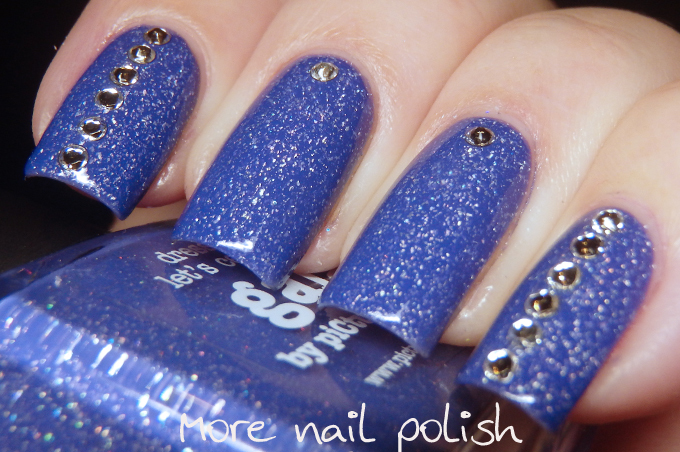 Today's mani is a super simple one. I originally swatched Picture Polish gala, but decided it was too pretty to take off and I needed to wear it as a full mani. So I just added some silver Swarovski crystals and left it at that. 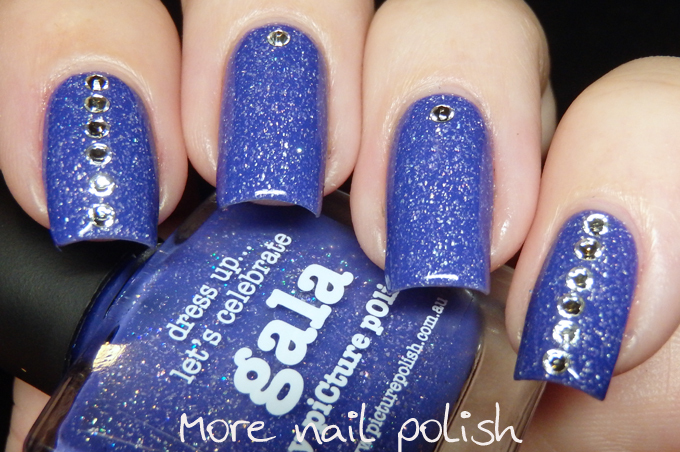 Picture Polish Gala is available from the Picture Polish website and through the various Picture Polish international stockists.